The Pharos LPC (Lighting Playback Controller) is an award-winning, all-in-one control solution for themed entertainment and LED lighting installations. It features individually controllable and independently running timelines and scenes, letting you build dynamic, precise, fully customisable pre-programmed lighting effects with the freedom of real-time manual overrides and the versatility of powerful show control and integration features. The LPC is designed for 24/7 operation and total reliability, with a rugged DIN rail mounting enclosure and install-friendly connectors. 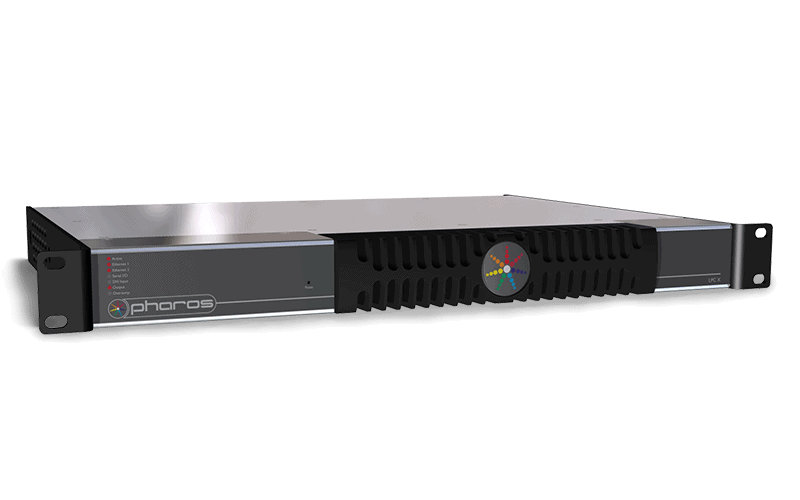 Its compact form-factor and minimal power requirements make it suitable for installation anywhere – including in weatherproof enclosures or even on roller-coaster ride vehicles. 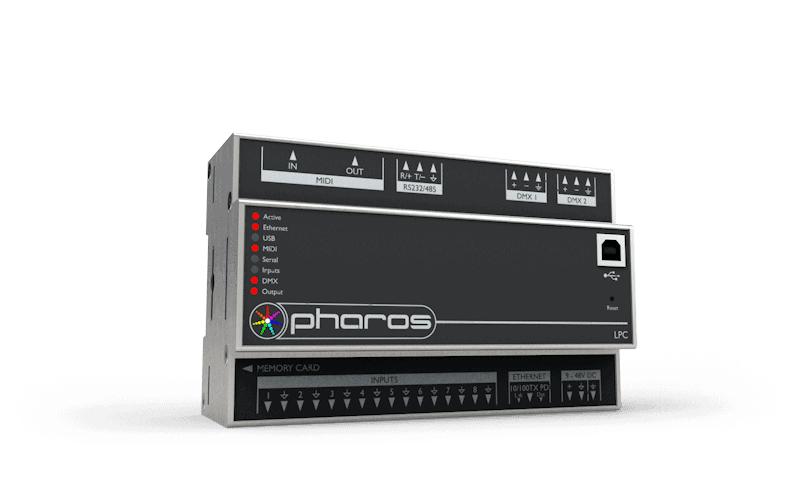 It is at the heart of the fully scalable Pharos system which can be tailored to the needs of your project. Multiple Controllers can be used together and will synchronise automatically. Additional integration options are supported by our range of Remote Devices. 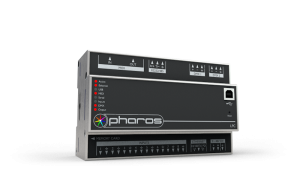 The LPC is programmed using the free Pharos Designer 2 software and existing installations can be managed from anywhere using its built-in web server. 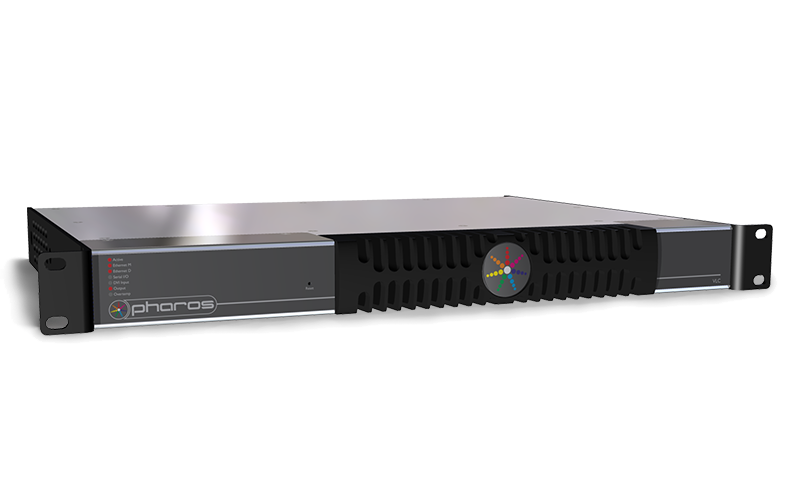 The intelligent Pharos Engine gives you complete control of your installation. 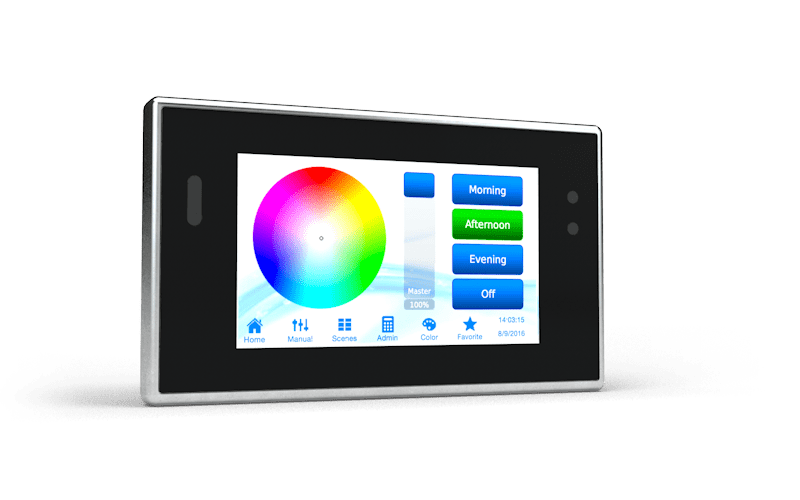 Based on individually controllable and independently running timelines and scenes, it lets you build dynamic, precise, fully customisable pre-programmed lighting displays, all while giving you the freedom of real-time manual overrides, flexible multi-zone control, prioritisation and more. Design the big picture; control every pixel. 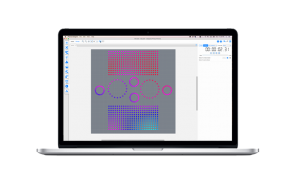 Create a map of your fixtures within the Designer software, then use Pharos Mapping to create visually striking effects or play video across the entire array. Powerful controls allow you to build maps fast with pixel-precise adjustment. Multiple maps can be created to support different zones or for modelling different views of your installation. Be limited by your design brief, not your control system. Our products support a vast range of different fixture types and can output multiple DMX-over-Ethernet (eDMX) lighting protocols at the same time. 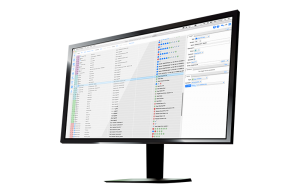 No other system gives you this level of flexibility and control over your project. 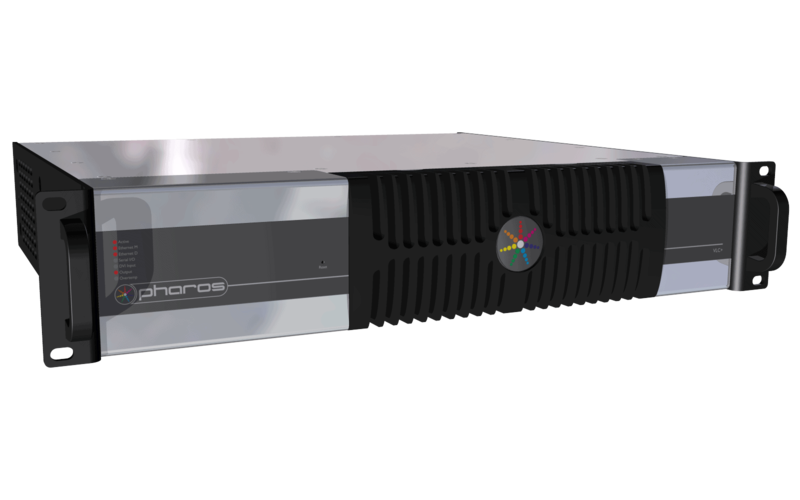 Programmed and configured using the free Pharos Designer 2 software – available for Windows or Mac OS X – with upload over Ethernet or USB. Made for permanent installation, with installer-friendly connectors and easy DIN rail mounting.